About Gram Chickpea The chickpea or chick pea is a legume of the family Fabaceae subfamily Faboideae. It is also known as gram. 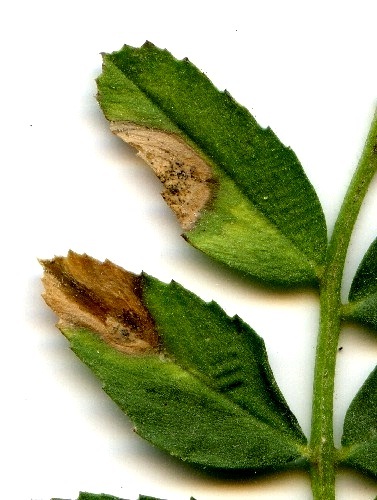 Problem Description The initial symptoms appear near the tips of young shoots and spread to leaflets, petioles, pods, branches and stem in the form of brown spots. 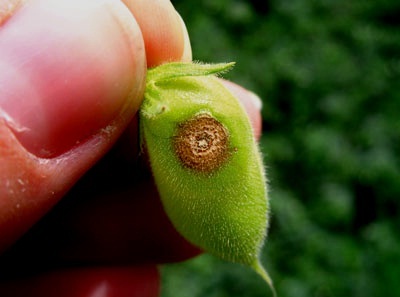 The initial symptoms appear near the tips of young shoots and spread to leaflets, petioles, pods, branches and stem in the form of brown spots. These spots become studded with minute black, dot like bodies (pycnidia). On pods and leaves the lesions are circular with concentrically arranged pycnidia. The apical tips, twigs, branches and stem show girdling and branches above the girdled portion are killed and break off before drying. 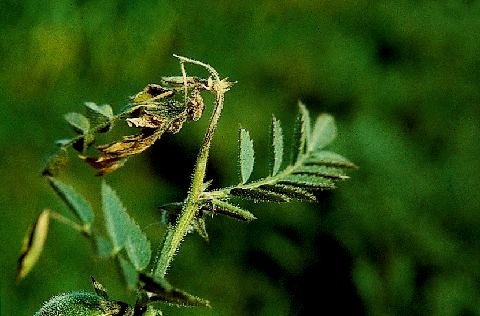 In severe infection, whole of the plant may be killed and whole field becomes blighted.